There are many ways one can upgrade their home, but sometimes the most important upgrades are overlooked. When you’re building your home, spray foam can make the difference and end up saving you significantly in the long run by reducing energy costs. Being energy efficient is a quality in a home that we all crave for. Spray foam insulation stops any air from escaping the cracks of your walls, saving you a bundle of money in energy bills. Not only does the insulation stop the air from flowing out, but protects you from any harmful toxins that are allowed to push their way through a wall that lacks insulation. This means that any dust, pollen, or mold that was once allowed to habitat the barrier of your home are now shut out. The benefits of spray foam insulation are not strictly set to health factors, but also help sound from becoming an issue within the home. Insulation acts as a great sound barrier so you can have more privacy and not be easily disrupted by others. We have the years of experience installing spray foam insulation, our trained experts have installed spray foam in hundreds of homes over the years and have the training and experience to be able to provide you the very best solutions for you home insulating needs today! 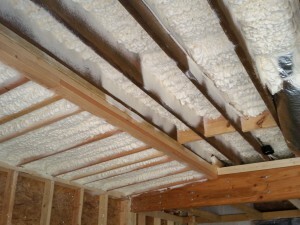 When it comes to experience, no one can beat our spray foam contractors. We are well versed in all aspects of the insulation industry and can help properly advise you when it comes to making the right choices that will save you money in the long run, and provide superior results. Each of our contractors is wholly dedicated to offering the best service available, all for the best value. There are many different ways that your home can end up siphoning off heating and cooling energy and one of those is through your home’s crawlspaces. If your crawlspace is not properly encapsulated then you are letting energy dollars slip through your fingertips, and you should see about making a change right away. Not only will a crawlspace that has been encapsulated offer energy benefits, but there are other reasons to undergo this upgrade as well. 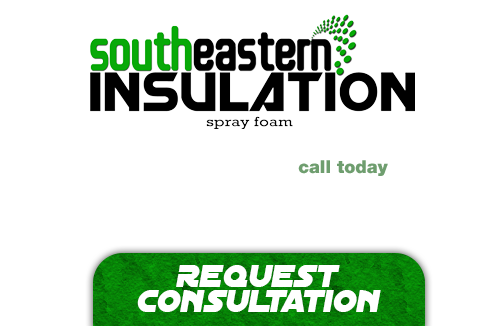 If you’re looking for a professional Winder Spray Foam Contractor, then give us a call today at 678-561-FOAM (678-561-3626) or complete our request estimate form.